Just measuring the light coming from a surface (the luminance) is not enough: a cast shadow will dim a surface, so that a white surface in shadow may be reflecting less light than a black surface in full light. 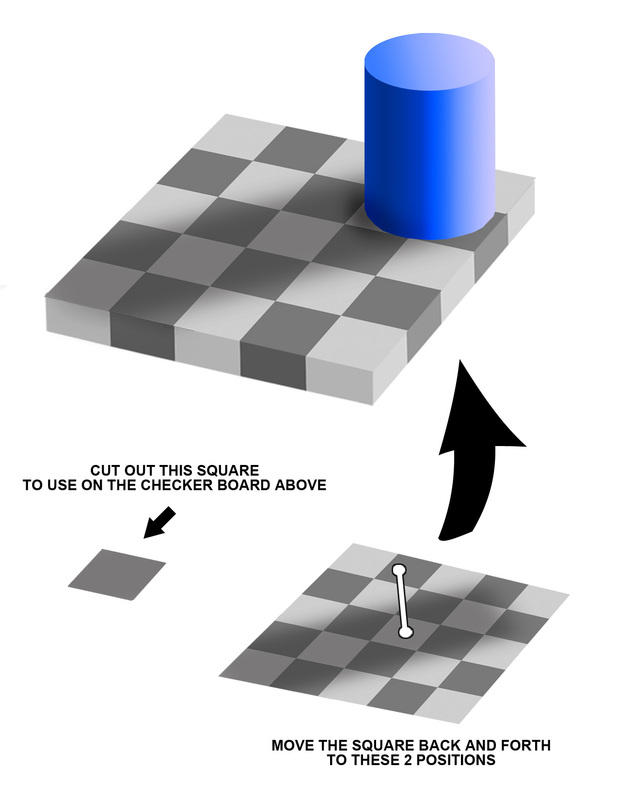 The visual system uses several tricks to determine where the shadows are and how to compensate for them, in order to determine the shade of gray “paint” that belongs to the surface. If you look at the template, the moving square surrounded by white background looks lighter than the same colored square surrounded by light grey squares–another example of how our visual system forces distinction between light and dark.